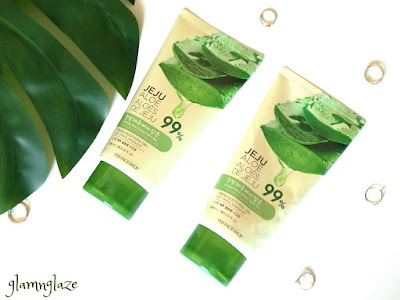 Today,I am going to share my thoughts on the The Face Shop's Jeju Aloe,Fresh Soothing Aloe Vera Gel. Beauty treasure for millions around the globe, Faceshop is a South-Korea based skincare line that provides fabulous goodies for your beauty rituals. Ranging affordable high quality products born from botany, this sensational brand believes on creating products that stem from a lovely concept of 'Science meets Beauty'. In a nutshell, Faceshop is your ultimate dream destination to treat your skin to it's best beautiful. 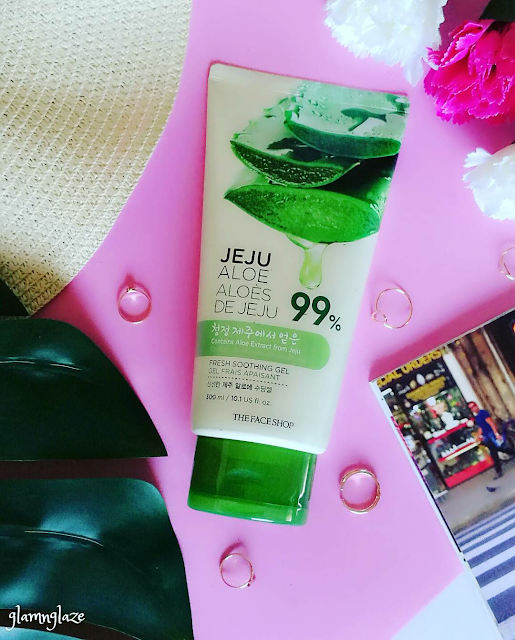 "A soothing moisture gel that can be used for moisturizing,calming skin and as a facial pack and after sun care.Gets applied softly without any stickiness." Wow! The packaging is really cool.The product comes in a cream-coloured plastic tube packaging.There is a flip open plastic cap(green coloured) attached to the tube.We need to squeeze the tube to take out the product.Very hygienic packaging.All the details like quantity,shelf-life , ingredients etc are mentioned on the tube.The packaging is very sturdy and travel-friendly.But, the tube contains a lot of product due to which you might feel that it is a little heavy to carry along while travelling(in handbag etc). I am ok with the size and weight of the tube.Overall , I am impressed with the packaging. 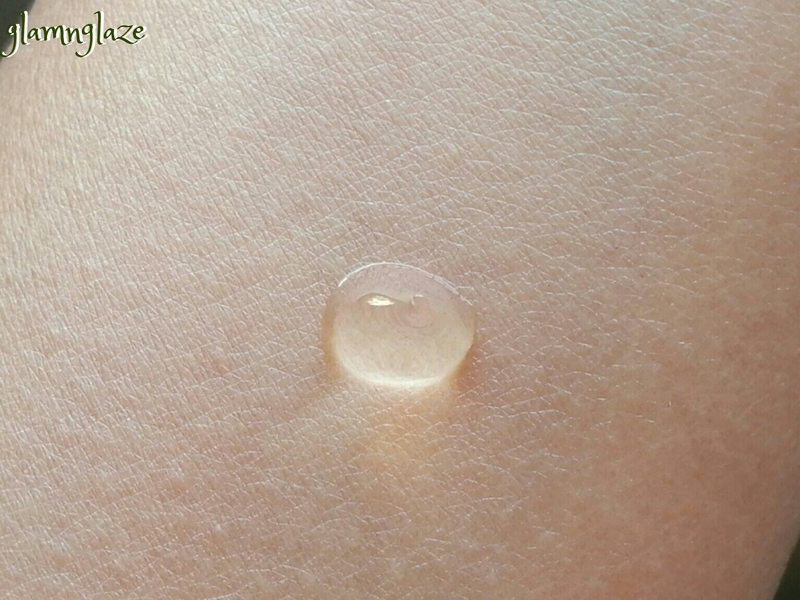 The aloe vera gel has got no colour as such.It's a clear gel.It has jelly-like texture.Thin-consistency but, not runny.Very light-weight formula.After applying the gel on the skin , it gives a soothing effect and the skin feels rejuvenated! It doesn't leave any sort of white cast on the skin. 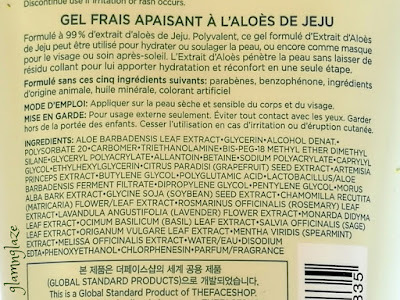 Safety prescription: No paraben, benzophenone, animal oil,mineral oil,artificial coloring. Simply amazing. 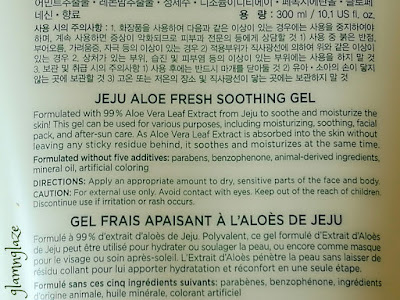 Yes, the aloe vera gel has got a very natural and refreshing leaf-like(referring to actual aloe-leaf) fragrance that fades away as the time passes.Nothing to worry.Take my word! The product comes in a gel-form and is non-sticky or greasy. Also the aloe vera gel gets absorbed into the skin in a jiffy. Is'nt that cool? Easy to apply on the go.Squeeze out apply ,sit back relax. It's a versatile product in my opinion.It can be used as a moisturizer or as a face pack or after sun exposure (sun care) etc. Keeps the skin moisturized.Skin feels soft and supple.In short, it takes care of rough skin nicely. 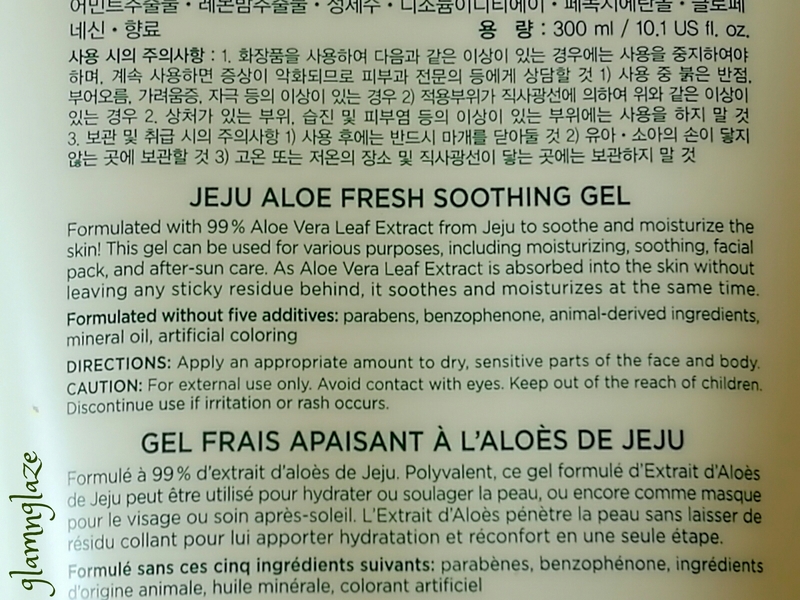 It really helps in calming down the skin -irritation / sunburn effect.Hats off! It's suitable for all skin types...seriously true...tried and tested. 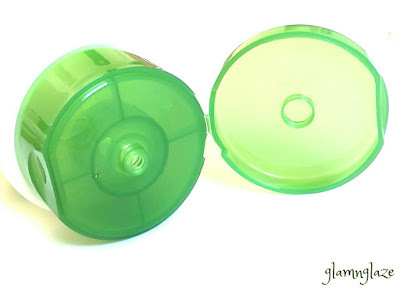 Used on a daily basis,one tube lasted for about a month. Use as a hair-mask.It makes the hair stronger and healthier.Also,it nourishes the roots. Apply as a sleeping mask and leave it overnight.Get baby soft skin the very next day. Apply as a hand moisturizer to keep your hands/feet in good condition...list goes on and on. 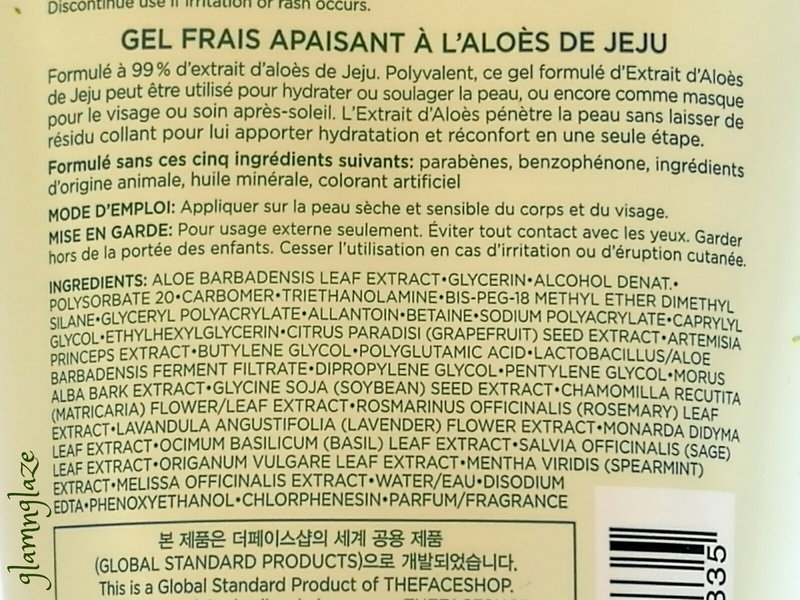 Best part of this product is that it's formulated sans Paraben and other harmful chemicals.Yay!!! Yes,definitely. It's a wonderful product.Have restocked this product as it's my new found love. Highly recommend.As you can see I have my new tube ready right here. Have you tried this product? Do share your experience. In UAE, The Face Shop stores and in India, online www.nykaa.com and in official The Face Shop stores.